Stand with us - be the 12th Man and help us #BTHOKidCancer! #TurnItGold with Aggie Soccer! Donate now and help improve the lives of children and their families. "Coach G, I am proud of how you, your coaching staff, and all of the ladies on the team represent TAMU, on and off the field. Gig 'Em! Ed R '74"
"Gig 'em Aggies and BTHO Childhood Cancer!" "Gig Em and Go Gold! " "Coach G family supports Go Gold"
"For the amazing children who are so brave in their fight. We support you and Aggie Soccer." "We have to find a cure for cancer!!! Terri Ritchie Dewbre and Jerry Dewbre"
"MoJo's Miracle will proudly Go Gold with the Aggies in honor of our angel, Morgan. " "BTHO Georgia & Pediatric Cancer! Gig 'em Aggies!" Stand with Aggie Soccer in supporting real change. Share the Aggie Spirit and the notion of selfless service by helping us to make a real difference in a cure for childhood cancer for Go Gold Fund! Just a small donation will go a long way to helping the team meet our goal. 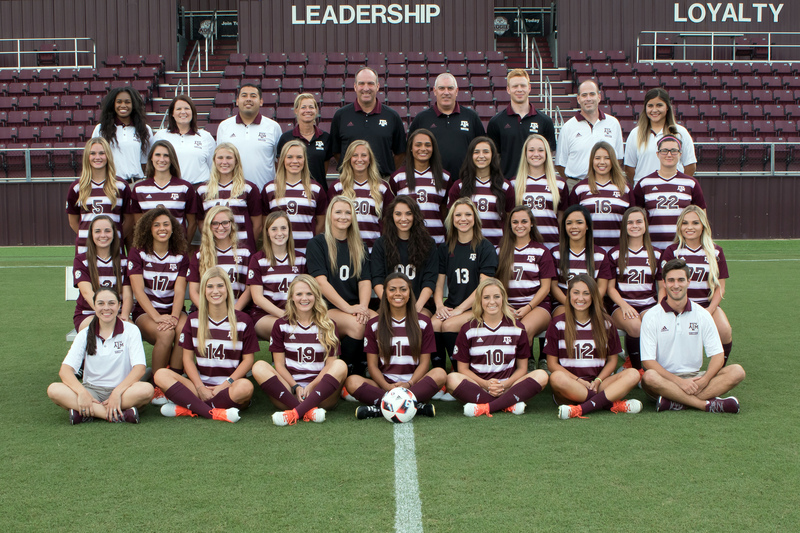 We are beyond grateful for any contribution made to through the Aggie Soccer page.